As part of TREE AID‘s Grow Hope Appeal I’m taking part in the Tree Food Challenge. The Tree Food Challenge is helping to raise awareness of the Grow Hope Appeal by encouraging people to create recipes using those tree foods that the TREE AID is using to fight hunger and malnutrition in some of the most poverty-stricken communities in Africa. In many of these communities hunger is a bigger killer than AIDS, malaria and TB combined. The Grow Hope Appeal is helping families in the drylands of Africa by helping them to grow trees which not only provide a constant food source, but a nutritious one as they provide vital vitamins and minerals that are not provided by the usual maize based diet of their communities. Not only can growing these tree foods, such as mangoes, plums, cashew nuts, baobab and moringa, provide an essential food source for the families, it can also help them to generate an income selling the fruit or products made from them. To find out more about the Grow Hope Appeal, please visit their website. 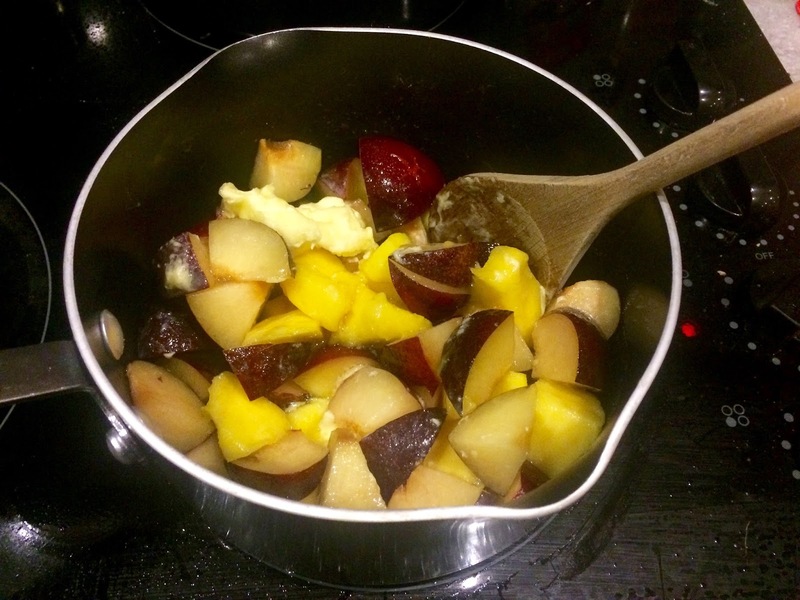 I have used mangoes and plums to create a festive dessert that would be ideal for any dinner party at this time of year or even for an alternative dessert on Christmas day (not everybody likes Christmas pudding). 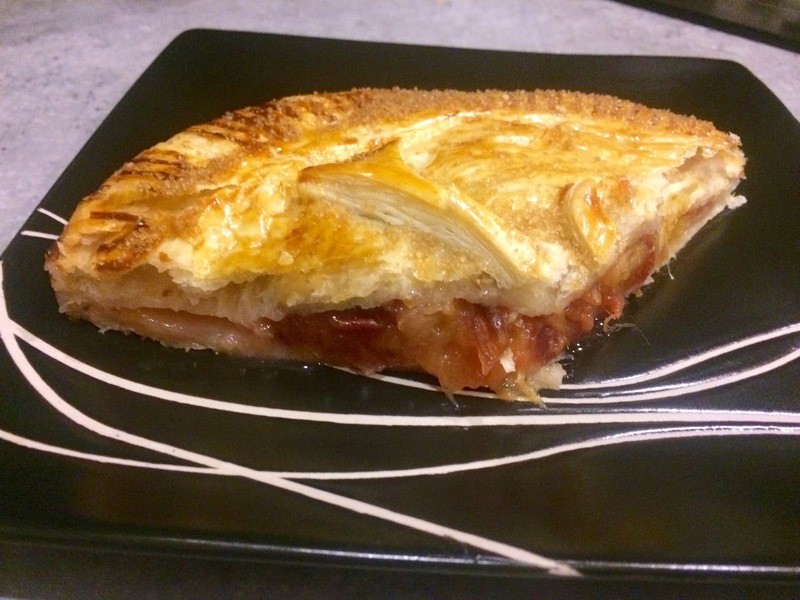 The sweet fruity mixture sandwiched between two layers of golden flaky pastry would be ideal served with cream or custard. If you can find a nice fancy winter spiced cream in any of the supermarkets’ Christmas ranges that would work brilliantly. 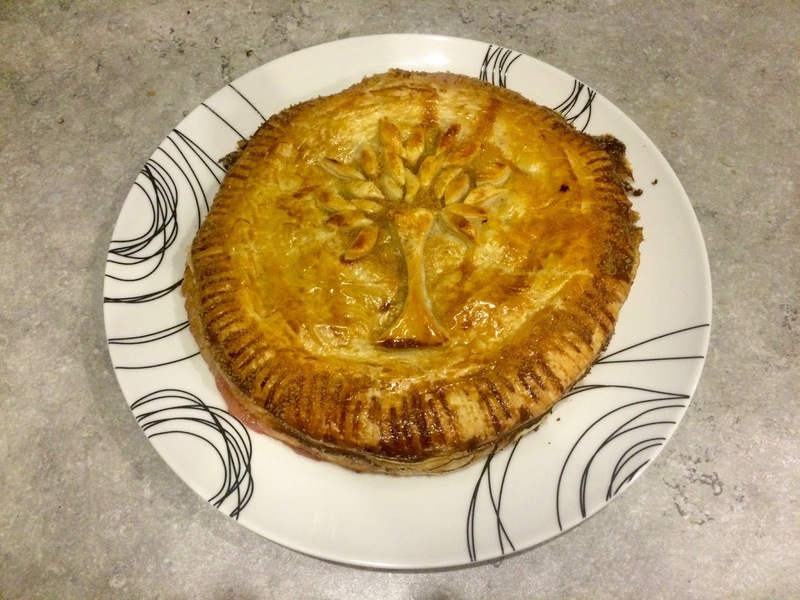 I’ve kept this recipe quite simple and used ready made pastry to keep it quick and easy. At this time of year there’s so much going on, so many people to see and presents to wrap, not even Superwoman has the time to be spending all day slaving over her dinner party desserts! Donate to the Grow Hope Appeal. 2. 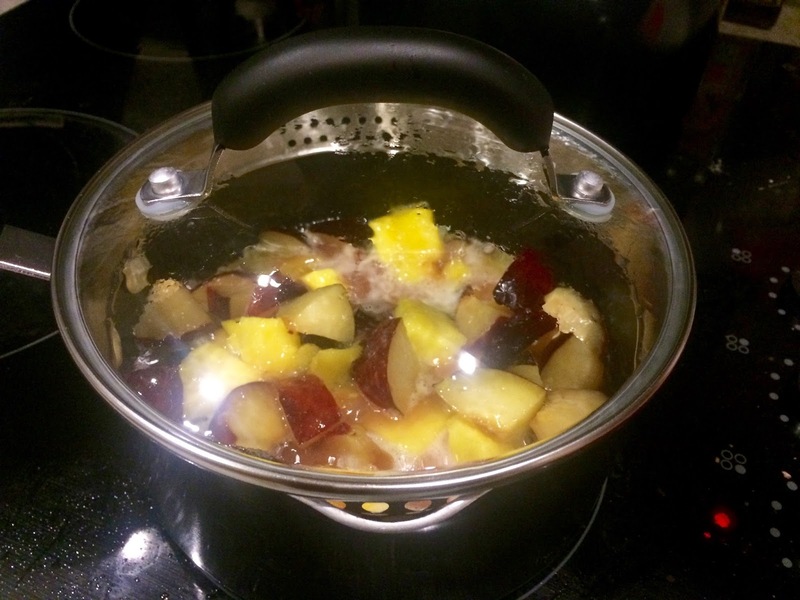 In a saucepan add all of the fruit, butter and caster sugar. Stew, covered, on a medium-high heat for around 15-20 minutes until all of the fruit has softened (but not turned to mush). Stir occasionally to check nothing is sticking to the pan. 3. 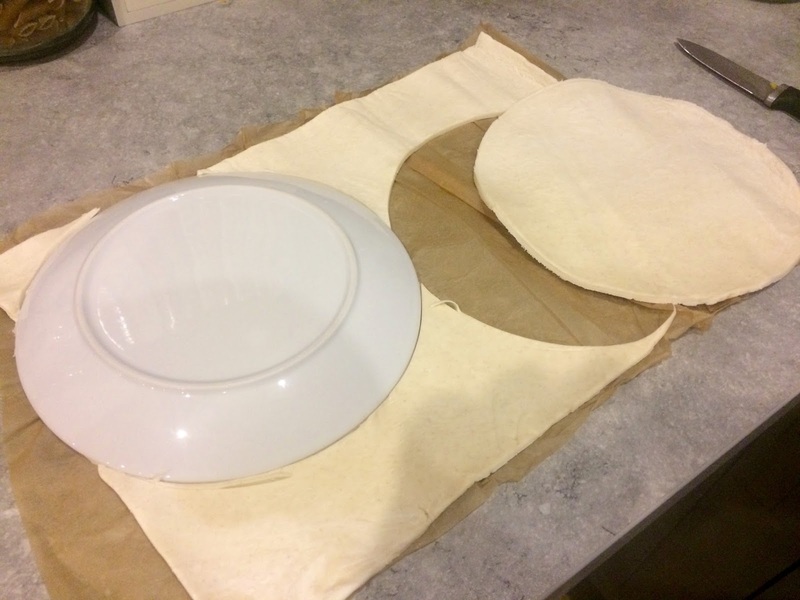 Use a side plate to cut two circles out of your pastry sheet. 4. 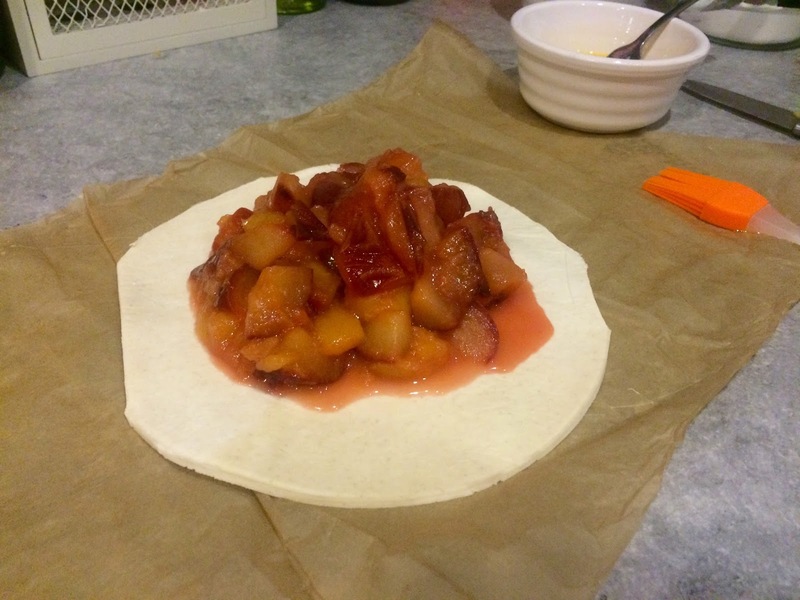 When the fruit mixture is ready drain of any excess liquid, you don’t want the pie to go soggy. Spoon the mixture into the centre of one of your circles, leaving a good inch border around the edge. Brush the edge with beaten egg before placing the remaining pastry circle on top. 5. Press dow around the edges with a fork to seal. Brush the whole thing with beaten egg. 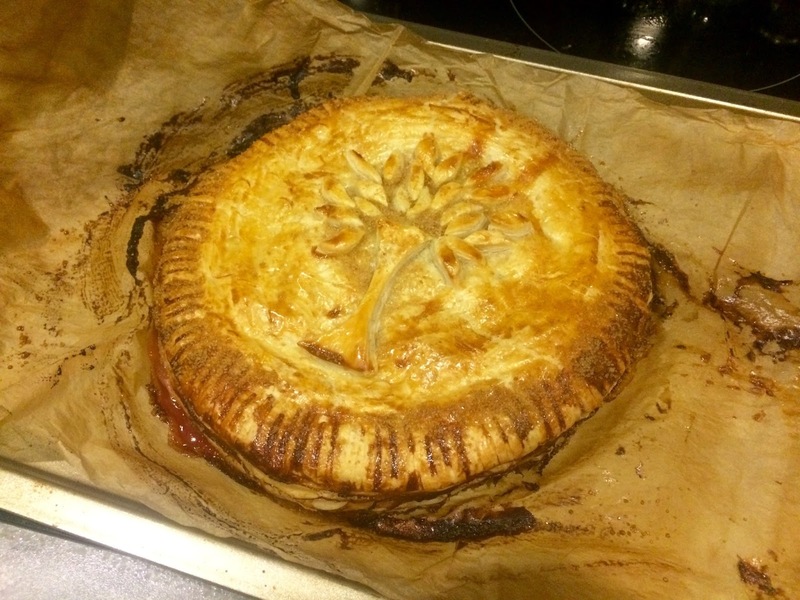 Use any excess pastry trimmings to create a decorative design on top. I’ve made a tree to represent the tree food challenge! Brush again with beaten egg. With the tip of a knife, gently pierce two holes either side of your design, this allows steam to escape when cooking and prevents edges from bursting open. 6. 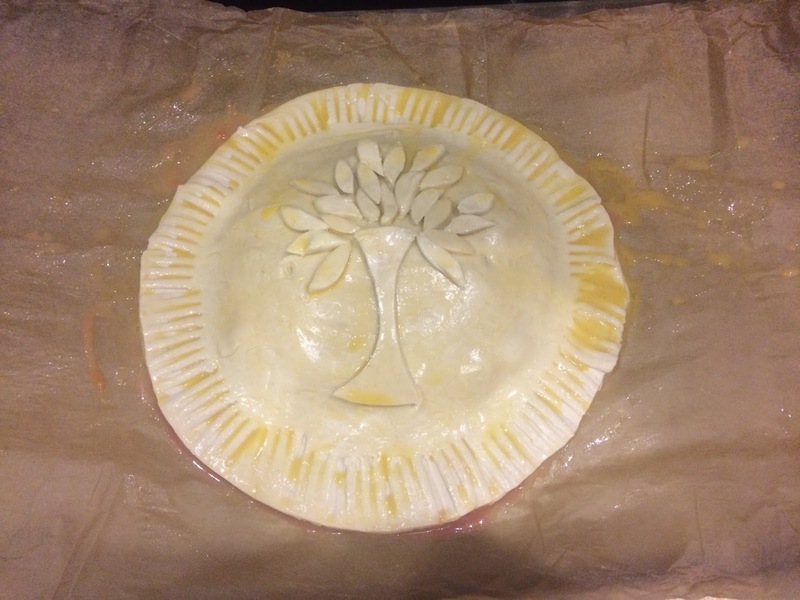 Sprinkle with demerara sugar and bake in the oven for 20-30 minutes until the pastry is risen and golden all over. Leave to cool for 5-10 minutes before serving.